If you’re anything like me, this doesn’t mean much without a price tag – and believe me, I would LOVE to give you a number, but most of our packages are created based on your specific needs, so I’d need to have a chat with you in order to be able to give you a quote with a few options to choose from. What I can give you is an indicative price list, with the most frequent requests, based on a 50K word draft. 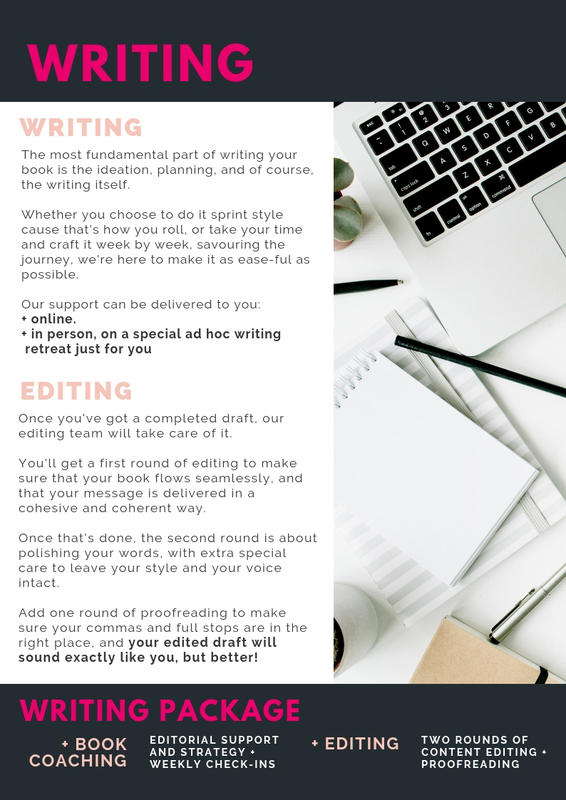 If you’d just like to get started with the writing + strategy only, you can check out my 1:1 book coaching page. 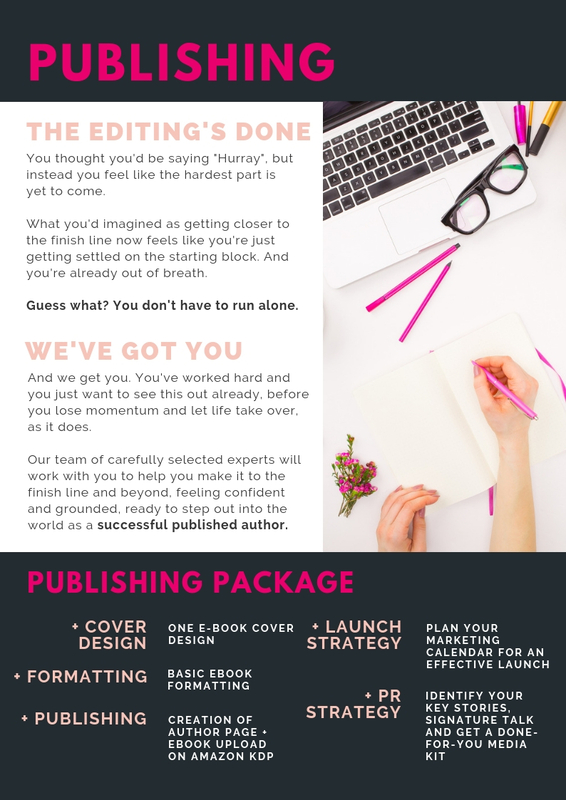 To get more accurate info based on your specific needs (including PR consulting if you want to use your book to land speaking opportunities, or crowdfunding strategy to make money *while* promoting the book), book a free consult and we’ll figure out what the perfect package would look like for you!